Health and Wellness Products Supreme! I believe that when we are healthy our true beauty is enhanced. I have search for the highest quality products that would support my own wellness for years and I am only interested in putting the highest quality supplements in my body. I have found that in It Works Global! On this page I will share with you some of my favorites and why I choose them. From the time of its inception in 2001, It Works Global has dedicated itself to providing professional quality beauty and wellness products that both reflect high standards of integrity and reach consumers at affordable prices. Today we proudly offer the highest quality nutritional supplements, exclusive anti-aging solutions, and our internationally famed Ultimate Applicator Cosmetic System. Our responsibility to the consumer is always our top priority, and we believe our greatest strength is reflected in the lockstep relationship between our pursuit to provide you with life-changing products and our principled approach to business practices and product development. I would like to share some of my favorite products. These are products that I use myself and love. The Ultimate Body Applicator I love this small body wrap because it cleanses the fat cells, while it hydrates the skin, feeds it what it needs and tightens, tones and firms. It is great for loose skin and cellulite too. I have lost over 30 inches from my body by tightening and toning the skin by using this product and releasing the toxins from the cells. How does this relate to supporting natural beauty? Cleansing the fat cells clears the cellulite which is caused by toxin build up under the skin. Our natural beauty comes from a healthy, toxin free body. 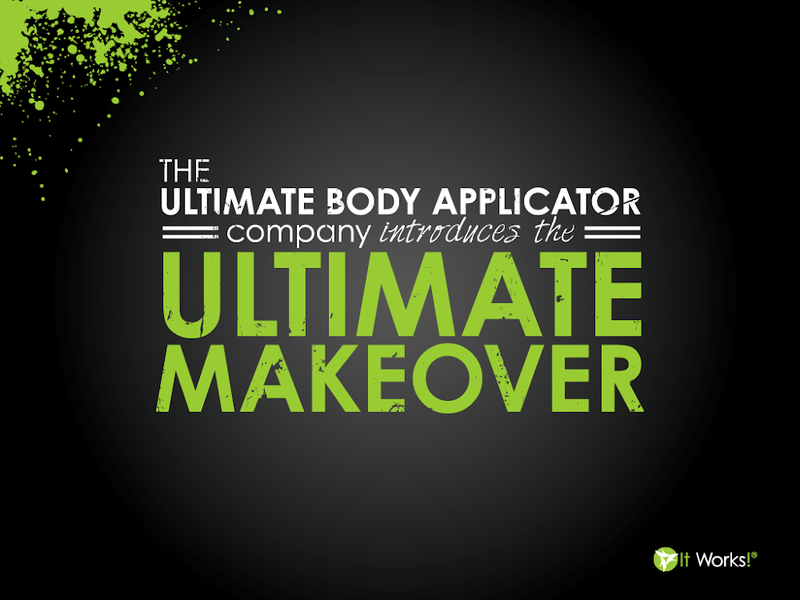 The Ultimate Body Challenge has my three favorite products: A four pack of Ultimate Body Applicators, a bottle of Defining Gel, which you can use ever day to tighten, tone skin and smooth stretch marks and cellulite, and the Fat Fighter, which removes 30% of the fat from your food and blocks carbs. You can purchase the Ultimate Body Challenge here. What I have noticed is that I can work out longer and don’t feel any aches or pains after my workout or the next day. This is amazing for someone who doesn’t have a fitness history. It has also helped build lean muscle very quickly especially now that I am working out. I use the Advanced Formula Fat Fighter with Carb Inhibitors to absorb some of the fat and carbs in meals that might have more fat than desirable. Click the link to learn more about it. My other favorite combination is Vital and Greens. Vital is our natural multiple vitamin and Greens gives you 8 servings of fruits and vegetables. This combinations enhances the bodies ability to reduce toxins and also alkalyzes the body for improved immunity. You might not be aware but toxins is the number one cause of inflammation in the body as well as a large contributor to obesity. Are you a massage therapist, chiropractor, spa owner or personal trainer? Or do you know one? Follow this link to information about how personal trainers and massage therapists, chiropractors and spas around the country are helping their clients with these products.